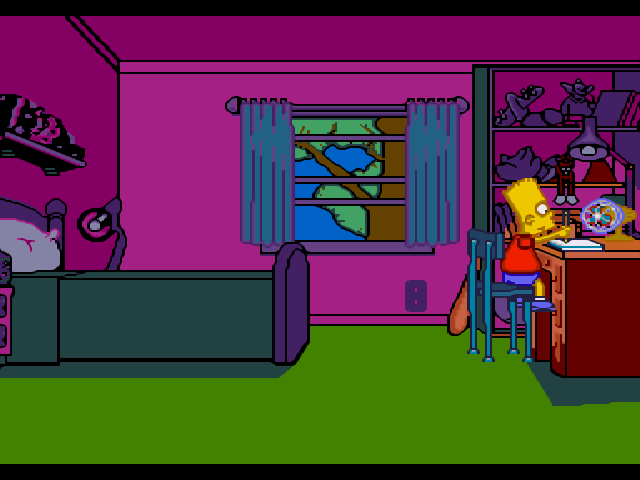 Bart’s Nightmare is often considered one of the better retro Simpsons games as well – although that may be because it’s not competing in a particularly strong field of candidates. By today’s standards Bart’s Nightmare is an overly difficult and strangely structured beast – but it still has some interesting elements. 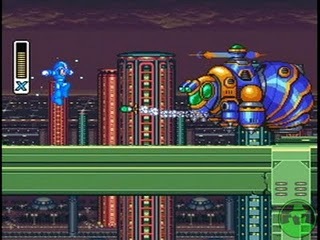 One plus point is the game’s presentation, which as you can tell from the screenshot is very colorful and quite unique. 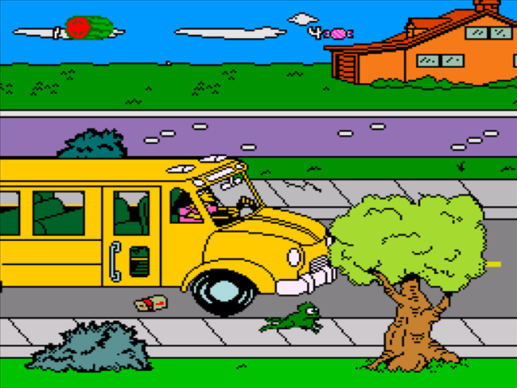 This is mainly as the developers used a hand drawn art style, which ends up portraying the bright colors of The Simpsons’s cartoon world quite well. It looks a little ramshackle by today’s standards, but still maintains a certain charm. The music used is also quite strange, exuding an oddly lulling quality that is very hard to accurately describe (as you can tell from that hash of a sentence). 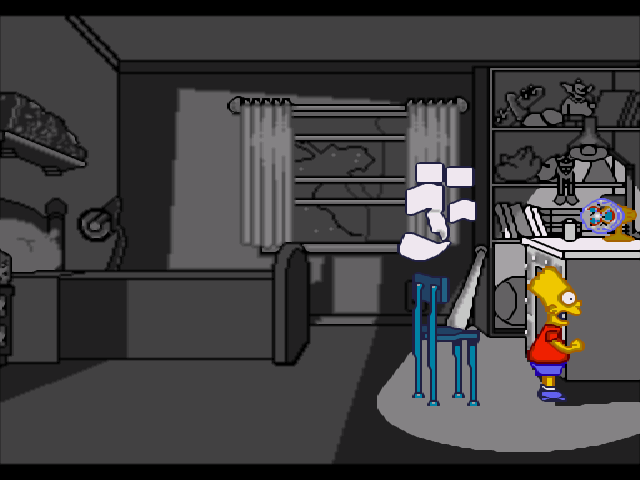 In terms of plot the game sees you play as Bart, who falls asleep at his desk while attempting to do his homework. You are then taken into an odd dream world where you must recover nine pages to get back to reality. To find the pages you have to scour the game’s hub (see above), which sees you avoiding crazed mail boxes, old ladies who shoot kisses, bouncing basketballs and so on. Finding a page is seemingly a random event – and at this early point is where the game may start to test your patience. Finding the pages isn’t enough either. You have to jump into one when you find it, and select one of two doors to enter. Each one takes you to a different stage, with every challenge different from the last. This is where one of the main problems with the game lies. Although it offers up a variety of challenges, each has its flaws – making the game a rather bittersweet experience. 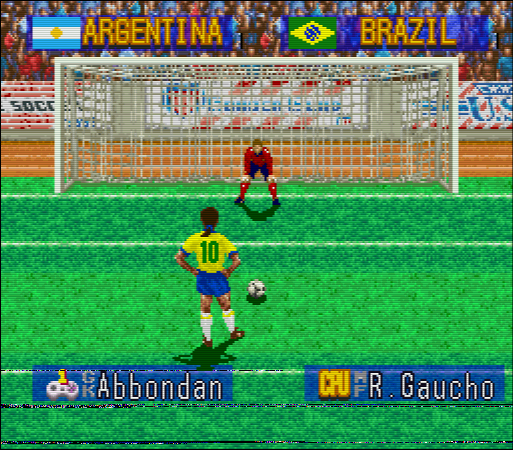 Most of the problems contribute to the game’s over-difficult nature as well. In the Itchy and Scratchy stage for example, it can be tough to avoid taking consecutive hits before you’re able to fight back. 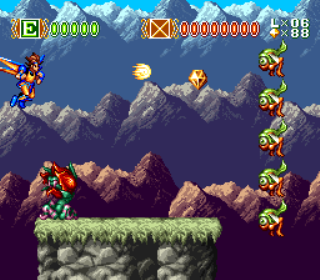 The Bartzilla stage on the other hand, doesn’t even have the common courtesy of giving you a life bar. A Indiana Jones inspired block jumping stage also feels far too random to be fun. The controls also needed refinement. Your jump (B button) is too stiff and inflexible to make you feel in complete control, and movement is a little stilted in general to boot. Overall, Bart’s Nightmare hasn’t aged particularly well. It’s presentation now acts as less of a cover for its slightly sloppy structure, but if you’re a Simpsons die-hard you might get something out of this.